Add some ease when creating your fan-favorite recipes in your bakery or restaurant; Omcan’s 20-quart mixer is the saving grace to any commercial establishment with high prep demands. This heavy-duty mixer is designed with an overload protection to effectively guarantee long-life service. Any produces heat is spread in axial direction for an even distribution. Use its powerful 3-speed options to suit your mixing needs; 97-120, 220-271 and 316-389 rounds per minute. Keep all contents inside the bowl to avoid splashing and other messes with the gated guard. Its timer adds for precision during prep so that the user is in full control over the mixed ingredients. This unit is equipped with a #12 drive hub. Its upgraded gear drives for maximum strength and efficiency, alongside its heavy-duty 2-HP motor. The unit is also equipped with a guard and timer. A stainless steel, 20-quart bowl, wire whip, flat beater and hook are included with this mixer. 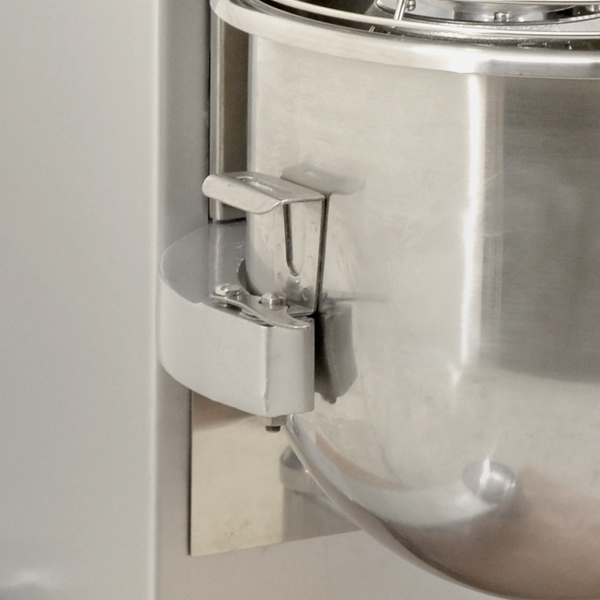 This reliable mixer will keep your prep in the right direction, while saving you tons of time! Packaging weight: 275 lbs. / 125 kg.